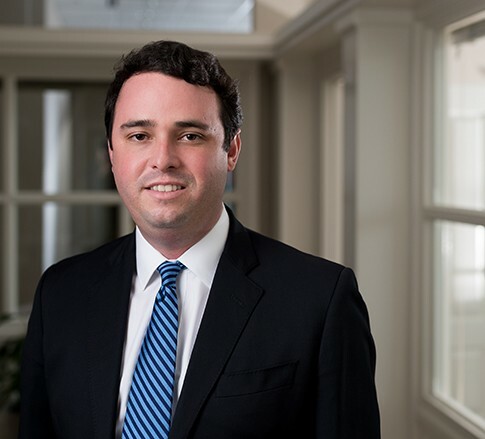 Christopher F. Hoskins is an Associate in the Equine, Construction and Manufacturing industry groups, focusing primarily on commercial litigation. He practices out the Firm’s office in Lexington, Kentucky. A Kentucky native, Christopher is proud to represent his home state through his position with the Firm and is enjoying building a practice by representing racetracks, horse farms, owners and various businesses involved in the equine industry. Christopher also practices in the construction industry, representing general contractors, construction managers, design professionals and others on construction projects. He advises them on all stages of a construction project or dispute involving litigation or contracts. In addition, Christopher regularly advises on various governmental, legislative, and regulatory matters. While in law school, Christopher served as Associate Editor and then Lead Articles Editor for the Northern Kentucky University Law Review. He also served as instructor in the Street Law program for two semesters.